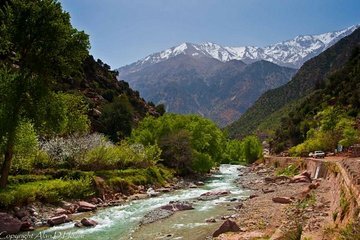 Marvel at the scenic landscape of the Ourika Valley around the Atlas Mountains on this all-day trip from Marrakech. The journey offers views of green meadows, Berber villages, fruit orchards, and mountain scenery. Along the Ourika River, head to Setti Fatma to take a dip in one of its seven waterfalls.